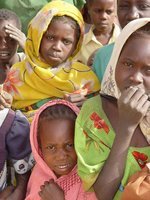 Today was Global Day for Darfur, on the anniversary of the UN's adoption of the "Responsibility to Protect" declaration providing the legal and ethical basis for "humanitarian intervention" in a state that is unwilling or unable to fight genocide, massive killings and other massive human rights violations. Ready and waiting is the prospect of a desperate catastrophe when the African Union mandate in Darfur runs out in 13 days time and the Sudanese government refuses to allow the deployment of a UN peacekeeping force. The Global Day for Darfur aimed to push national governments to act as members of the internationa community to act rapidly to prevent a horrific deterioration in an already awful situation. First ten minutes are Darfuris calling for UN deployment (with pictures of the demonstration being filming inside the Embassy - behind the camera to start with, later on the white building with the metal-barred window), then various speakers to the rally included Adam Hussein, escapee from Darfur, Susan Pollack, survivor of Auschwitz, Beatha Uwazaninka, survivor of Rwanda, and preceding Beatha Uwazaninka at just after 34 minutes into the clip, Kemal Pervanic, survivor of Omarska, drawing the lesson from Bosnia for public concern to push the need for action over Darfur up the politicians' order of priorities. * Strengthen the understaffed and overwhelmed African Union peacekeeping force now. We must offer extra help to the African peacekeepers already on the ground. * Transition peacekeeping responsibilities to a stronger UN force as soon as possible. The UN must deploy peacekeepers with a strong mandate to protect civilians. * Increase aid levels and ensure access for aid delivery. 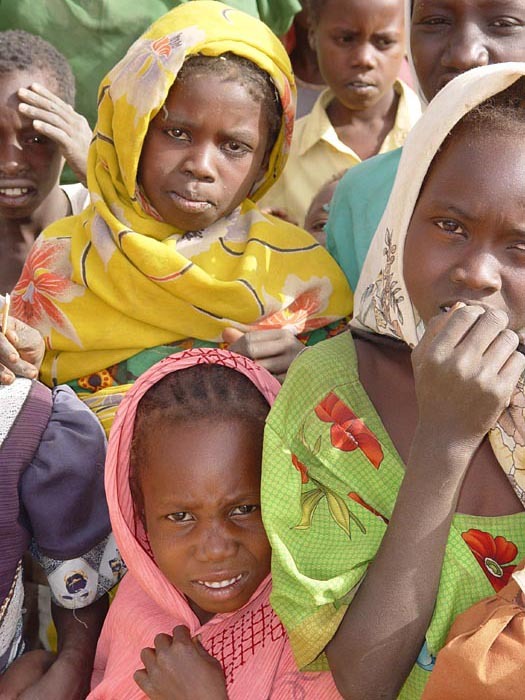 Shortfalls in aid continue to mean that people are at risk of starvation. Humanitarian organizations must have unfettered access to all who need help. * Implement the Darfur Peace Agreement. For the violence to end, all parties to the agreement, in particular the Sudanese Government, must live up to their responsibilities."